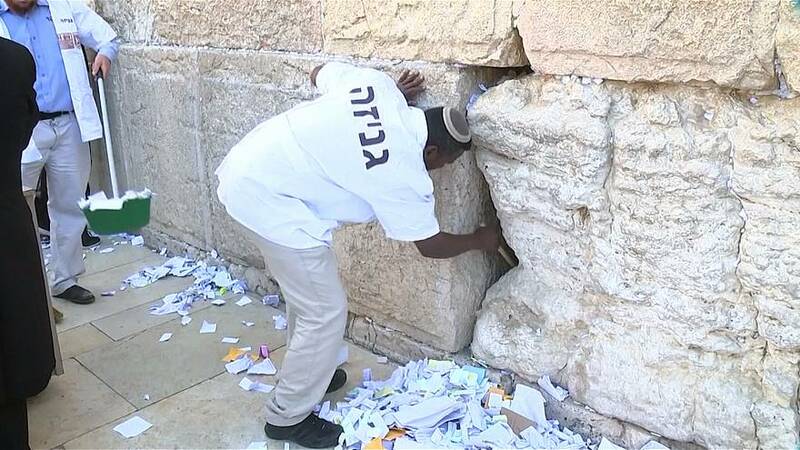 Cleaners have been removing written prayers that visitors have left in the cracks of the Western Wall in Jerusalem. The work is done twice a year to guarantee space for new prayers. The notes that are extracted are buried in the Mount of Olives according to the ritual. The tradition of putting a small paper with a prayer between the cracks of the wall is several centuries old.